I recently discovered that my daughter is unable to eat gluten. I stopped into one of my favorite neighborhood markets to explore my gluten-free options and was gifted a box of black bean pasta. I was excited at the possibilities of what I could create with this new pasta. I ended up making a delicious gluten-free southwest black bean pasta. This delicious black bean pasta is filled with peppers, corn, tomatoes, and chili peppers. I topped my black bean pasta with a creamy avocado cilantro sauce, you could skip this to make it a vegan dish or tweak it a bit to fit your needs. The box of black bean pasta that I was gifted was Tolerant Foods Organic Black Bean Pasta, I really like it because it has only one ingredient: black beans. You can also find several different varieties of gluten-free black bean pasta over at Amazon . For Audrey I made her pasta with corn, cucumber, and coconut oil chilled and she loved it. However, I also wanted to make myself something with this interesting pasta to see how it turned out. I have been on a spicy kick so I headed to the fridge to see what I had and ended up creating a delicious gluten-free southwestern black bean pasta salad with an added avocado cilantro cream sauce, it turned out awesome! Here is the recipe and below you will see photos of the various steps of making this delicious southwest pasta! 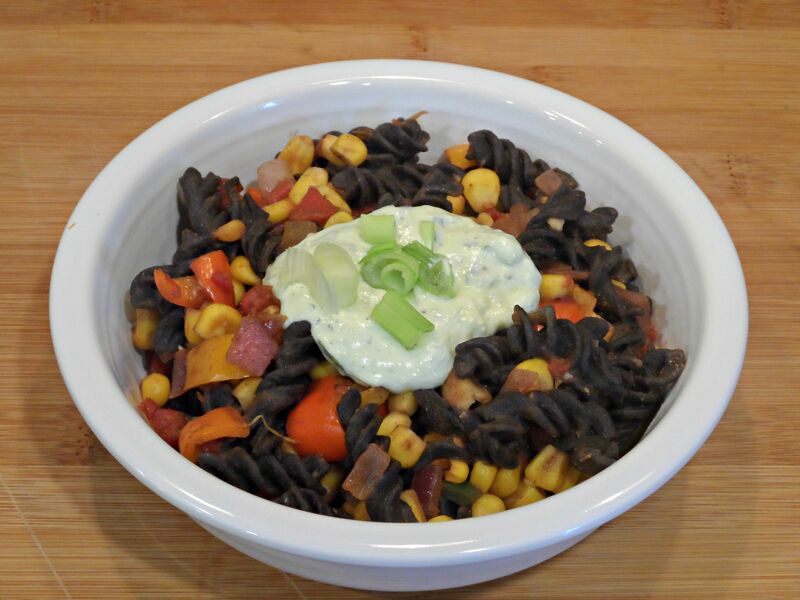 You will love this veggie filled southwest black bean pasta which can be topped with cheese, scallion, and a delicious avocado cream sauce. 1 14.5 can of diced tomatoes with chili peppers or dice up fresh tomatoes and peppers! Heat the coconut oil in a deep skillet. Add the onion, garlic and cook for a few minutes until the onion is a bit soft. Add tomatoes & green chilies, jalepeno and cook for a few minutes. Add corn, black beans (optional), paprika, chili powder, cumin, oregano, cayenne, and salt. Cook for about 5 minutes. Mix the cooked noodles with the cooked veggies. Drizzle with avocado cream sauce. Sprinkle with fresh green onions and shredded cheese if desired. 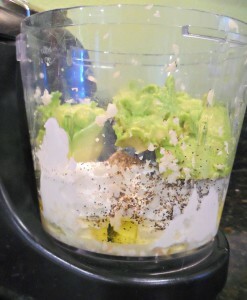 Add all ingredients into a food processor or blender and blend until smooth. Super Easy! I heated a spoonful of coconut oil in a deep skillet and heated the water for the pasta at the same time. 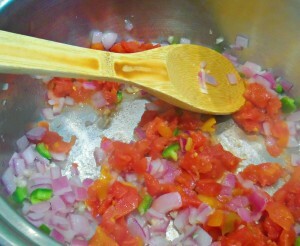 I added the red onion and garlic to the oil and cooked those for minutes then added the tomatoes and jalepenos. 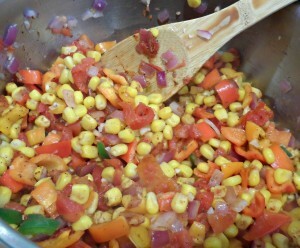 Next I added the corn and peppers and spices, I let this cook for about 5-8 minutes. Don’t forget to cook your black bean pasta while you are cooking the yummy veggies! Once the pasta and veggies are done cooking mix them together. The pic was too steamy for this step! 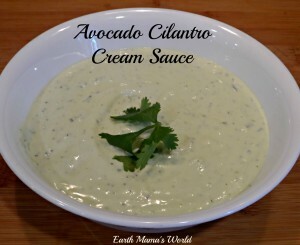 The avocado cilantro cream sauce is easy to make. Just place the ingredients in a blender or food processor. Then mix it up until it is smooth and creamy. The last step is the best. Fill up a bowl of the delicious southwest black bean pasta. Pile on your desired toppings such as cheese, scallion, and the avocado cilantro cream sauce & enjoy! You can see all of my real-food recipes here. I will have to make it for you!! Wow this looks delicious! Sorry about your daughter but at least going gluten free has never been easier. 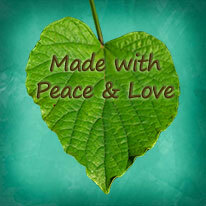 Love your new blog design!